Canada boasts bank of opportunities for dental hygienists and dental therapists. The country has constantly been attracting foreign trained professionals to satisfy its demand Canada is having in these areas. If you are one of those who wish to pursue a career in dentistry as a dental hygienist or as a dental therapist, you can consider an immigration plan to Canada. Canada is calling you to realize your dreams. This may be the perfect opportunity for you to reap the advantage of your home country’s immigration schemes and lead a good life there in Canada. However, before planning anything it would be better if you look for the regions/areas where these professions are required most. Or, getting an idea about the locations that boast higher employment prospects for dental hygiene and dental therapy professionals would help you immigrate to the right province in Canada. Below are a few regions that boast significantly high demand for this group of occupation. British Columbia: In British Columbia, the employment prospects for this occupation are considerably good. Professionals are mostly employed in the province’s health care sector. The aging population is one of the reasons why the province is generating ample employment opportunities for these professions, as with age people need more care for their health, including oral health. Moreover, retirement of aging professionals is fueling generation of job opportunities. Manitoba: Employment outlook for this occupation group is likely to be better in Manitoba between 2010 and 2014. Majority of dental hygienists find employments in sectors like health care; and public administration. As for dental therapists, they are being appointed by the provincial government in order to provide dental services basically in First Nations communities across the province. Ontario: Job opportunities for dental hygienists and dental therapists in Ontario are expected to go up in the coming five years from now. In the province, the higher requirement of dental hygienists and dental therapists is fueled by growing population and increasing awareness about oral health. Newfoundland and Labrador: Newfoundland and Labrador holds ample job opportunities for dental hygienists and dental therapists. Good thing is that opportunities are going to be more in next half decades. Population growth, aging population and growing awareness of dental care are some of the factors that are fueling the requirement for these professionals. Nova Scotia: Employment opportunities are brilliant in the Canadian province of Nova Scotia. Growing awareness about maintaining dental hygiene is one of the factors that has influenced the requirement for dental hygienists in the province. You can consider to immigration to any of the aforementioned provinces to pursue a career as a dental hygienist or a dental therapist. 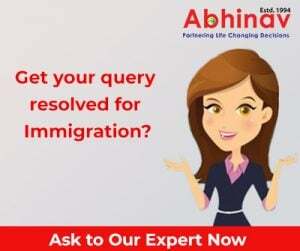 Contact us for any assistance at ajay@abhinav.com! Senate Leader wants Dream Act before 2011! Iraqi Asylum Seeker Commits Suicide in Australia! my name is mapfungidza mapfungidza and im a dental therapist by profession.i have 7 years of work experience.i would want help on finding a job as a dental therapist/hygienist in canada.